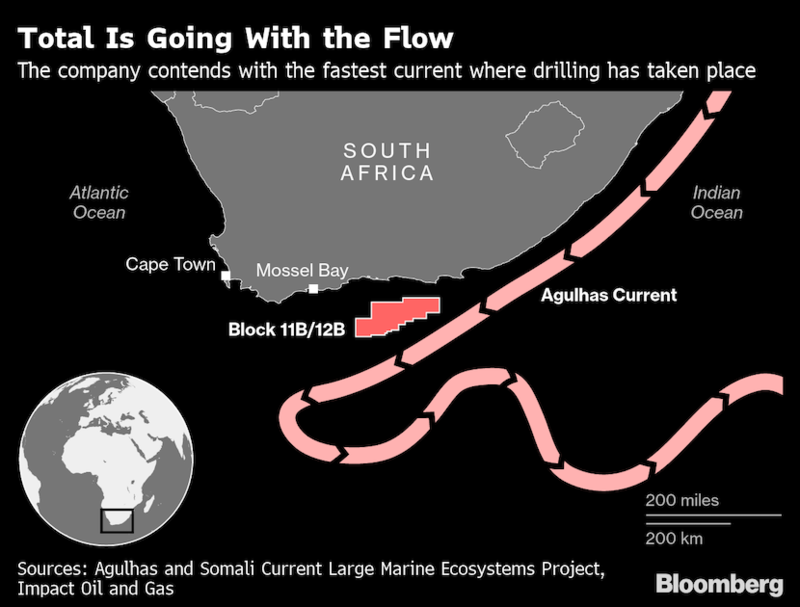 (Bloomberg) – Total SA’s discovery of South Africa’s first oil in deep water could prove to be a bonanza for a country lacking crude reserves of its own and prompt a rush from other majors. That’s if they’re able to solve the engineering challenges of operating in one of the fastest ocean currents in the world. 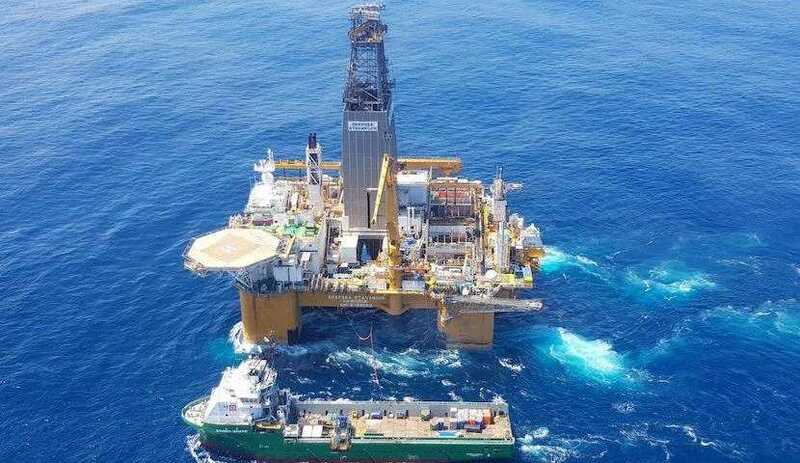 The Brulpadda find, with reserves estimated at about 1bn barrels of oil, is located in deep waters around 175kms from South Africa’s coastline. It could be enough to supply South Africa’s refineries for almost four years and be a major boost for the country’s struggling economy. But the prospect is surrounded by the Agulhas Current, a fast-moving flow of warm water where the Atlantic and Indian oceans converge, which travels the country’s east coast and can cause waves the height of a multi-story building. Total says it’s found solutions to the problems, but not every explorer has the financial resources or harsh-environment experience of the French oil major. Sasol Ltd. and Eni SpA also jointly hold a license offshore South Africa and are analysing seismic of the area “to help confirm the prospect and firm-up potential drilling,” said Gilbert Yevi, Sasol’s vice president of international exploration and production. “There is no doubt that the most recent discovery offshore South Africa is good news for the country,” Yevi said. The two companies have submitted an environmental impact assessment for potential future drilling and are awaiting approval.